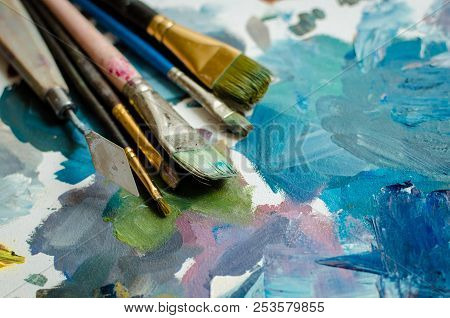 Artist paint brushes on wooden palette. Texture mixed oil paints in different colors. Instruments tools for creative leisure. Painting hobby background. 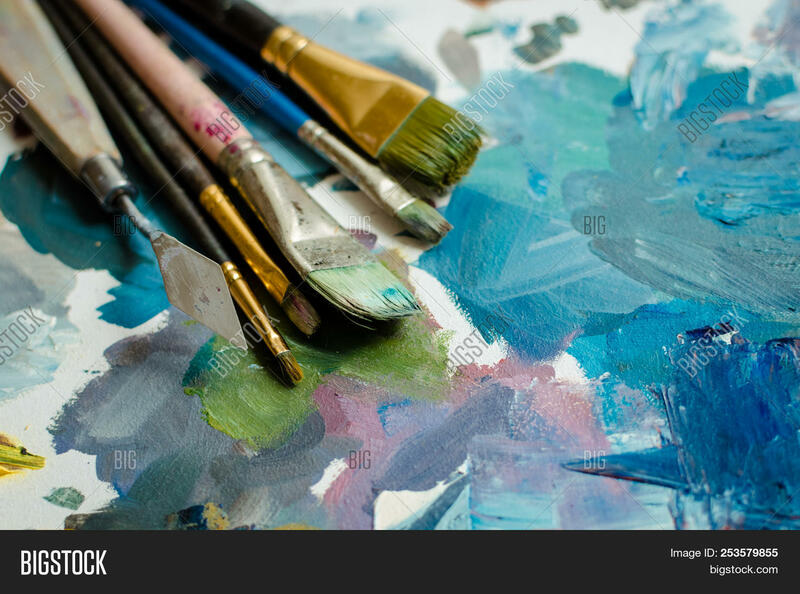 Paintings art concept. Copy space.